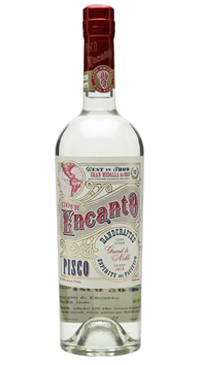 A vibrant, pure grape spirit from Peru; Grand & Noble Pisco is sustainably harvested, vinted and distilled according to the strictest standards of Master Distiller Carlos Romero. You’ll taste plums and peaches, almonds and chocolate, with a hint of peppermint and honeysuckle. Campo de Encanto Grand & Noble is a Peruvian Pisco that is made to be especially great in cocktails, not just a classic Pisco Sour. This has notes of plums, peaches, almonds and chocolate.